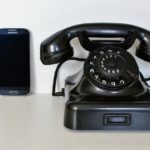 Why I Still Want a Landline – and you should, too! Well, it’s not a “real” landline. It’s through the cable company. But it’s still an extra fee every month and the phone base is attached to the wall. And it has it’s issues (doesn’t work if the power goes out). So why won’t I give it up yet? Well, one reason is probably that I’m old. Old school, that is. It’s what I’m comfortable with. Second reason – it just gets better reception. Cell phones still aren’t THAT great and if I want to have a real conversation with someone, I use the home line. But the third reason is probably the one that would interest you, especially if you have children. I was not in any rush to get my kids cell phones. They were ready to stay at home alone for short periods of time well before I was giving them a cell phone. And if they were at home alone, I wanted them to be able to call me, for me to be able to call them AND for them to be able to call 911. So that’s why – safety. I wanted my kids to be able to access help but not yet text or snapchat. Do you have a landline? Why or why not? The above was the original email I sent out to my readers. The first reply I got was from Jewlee Vallare, a 911 dispatcher in CA for 15 years. She affirmed my choice to have a non-cell phone option at home and said she taught her children to use the landline instead of a cell phone in the event of an emergency. “And here is why. If you call 911 from a cell phone, you are routed to CHP (California Highway Patrol here in California) They do not have pin point location of you. They have approx. 1 mile radius in most cases. So if you think of it, if you child pics up the cell phone to call 911 and doesn’t know the address or cross street of where they live, (I have a 7 year old…she is still learning that info) or are unable to talk (Heaven forbid) it is going to delay getting help to them. 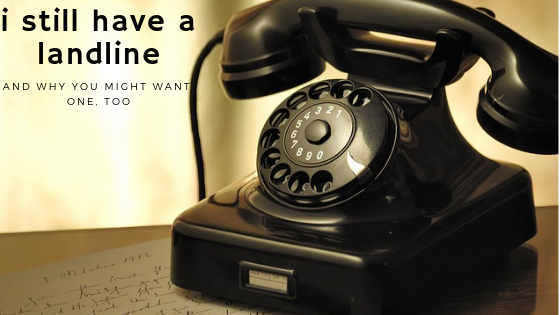 When you call from a landline, the information is there. The address, the call back number, the city, etc. Thank you again, Jewlee, for this helpful and life saving information! Agreed! We have an Ooma box that works with our regular phone jacks and ties in with 911 location services. It’s cheap, convenient, and also gives us the option of a phone number that isn’t our cell phones to give out for certain things. Thanks, Elise! I’ll look into that. By “certain things” do you mean businesses that might telemarket? If so, do you let your Ooma box phone ring or do you keep the ringer off?